The man to introduce and persevere with European varieties was Ukrainian born Dr. Konstantin Frank. This Ukrainian born PhD in viticulture saw the potential of vitis vinifera in this area, but understood why the vines had previously not survived in the climate. It was his understanding of European regions and the necessity of grafting onto native roots that resulted in him establishing his Vinifera Wine Cellars in 1962. Several generations later, many in the industry here have learnt from his experiences and the region is poised to capture the world’s attention. 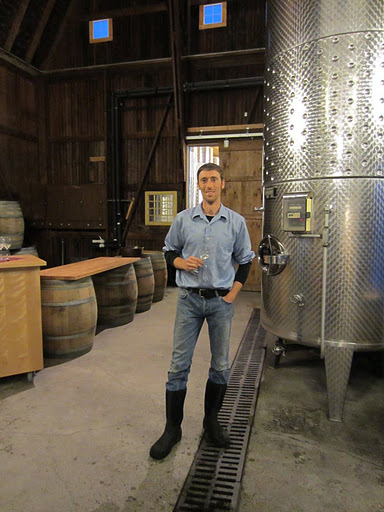 The winery now produces a large range of wines, from sparkling to white, rose and red. A wine making team consists of a German, a Frenchman, an Australian and two Californians. The sparklings are very good, focusing on the traditional champagne varieties of chardonnay, pinot noir and pinot meunier. The region is gaining much attention for its Alsatian varieties though, particularly riesling. 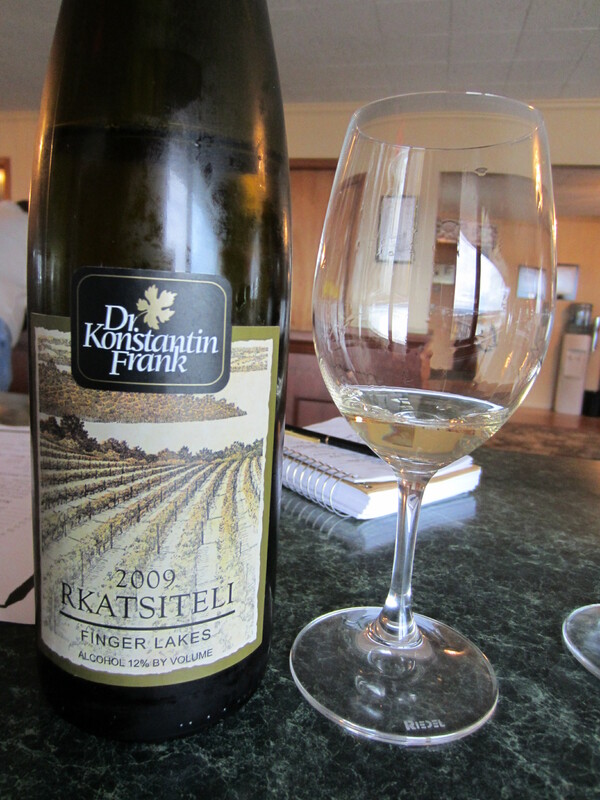 The rieslings at Konstantin Frank are very delicate and balanced. They don’t have a strong minerality to them, but there is a certain rich lime blossom character to them. A highlight was the Lemberger 2009 (the German name for Blaufranksich), which had great acid and tannin structure, good balance and finesse. 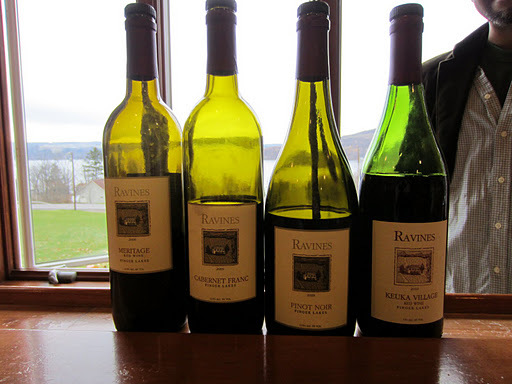 Located on the opposite side of Keuka Lake to Dr. Konstantin Frank is Ravines Wine Cellars. A Provence-born Frenchman who spent six years as the chief winemaker at Dr. Konstantin Frank, the winery was established in 2000 by Morten Hallgren and his chef wife Lisa. Understanding what this region can offer, and also attempting to produce food friendly wines were the primary focus for this couple. This philosophy is reflected in the tasting room, as visitors can enjoy flights of the wine matched with locally made delicacies. The focus is clearly on European varieties, but he does produce a white blend and red blended made from hybrid varieties, which are the weakest of the range, showing little elegance and a foxy wild character. Once again the highlights were riesling and cabernet franc, with the meritage (bordeaux) blend looking good too. The chardonnay was interesting, as it had gone through a rack-drying before pressing and fermentation, similar to Amarone. The resulting wine was very textural and rich for such a cool climate wine, but was a little too oaky. It is an interesting approach to try to get depth and character from a variety that in my opinion isn’t suited to this climate, much like pinot noir. 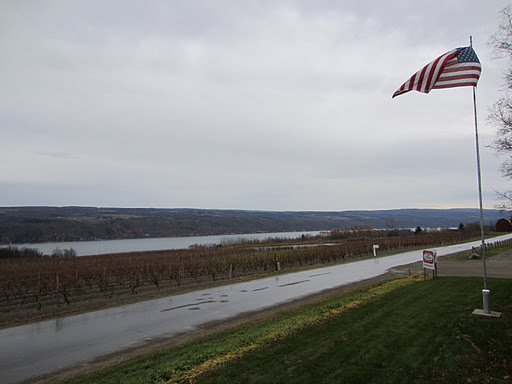 The modern wine industry in the Finger Lakes owes a lot to European migrants who persevered with the European varieties knowing that they would be great in the climate. Another of the pioneers was German-born Herman J. Weimer. Having grown up in the Mosel and worked in the Pfalz, he understood better than most the potential for German, Alsatian and Austrian varieties in this New York region when he established his vineyards on Lake Seneca in 1979. In 2003 he handed the reins over to his apprentice Fred Merwath, who in 2007 brought in long-time friend and Swedish-born Oskar Bynke to handle marketing and sales. 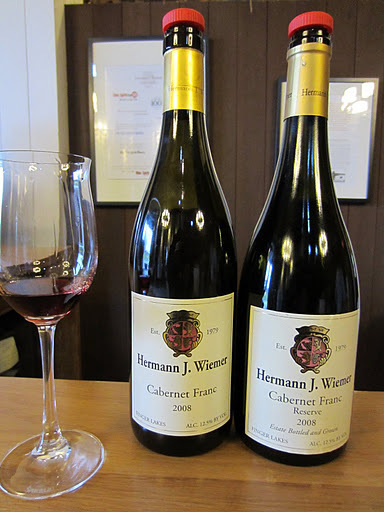 The legacy left by Hermann is very noticeable, as the very mature vines produce exceptional fruit. The wines were the best made I tried in the Finger Lakes, and are unbelievably undervalued, particularly the rieslings at under US$20. Three vineyards provide the fruit for H.J. Weimer, all on the Western bank of Seneca Lake. The HJV vineyard is the original vineyard planted in 1976, and is located on the same estate as the winery. The soil types vary on the site, and when I visited they were installing tiles to assist with drainage. The other two vineyards are located about 10 miles North, but planted at different times. The Josef vineyard was planted in 1977 and purchased by Herman in 1996, whilst the Magdelena vineyard was purchased and propagated in 1999. Whilst there is quite a difference between each vineyard, the two close to each other have a distinct characteristic of ripe fresh-cut parsley, something I’ve never seen in a wine and never expected to see in a riesling. All of the rieslings exhibit a minerality and austerity rarely seen outside of Europe. The Late Harvest Riesling 2010 is actually a Spatlese style, and would be an awesome companion to spicy Asian food. As expected the Cabernet Franc wines were spectacular, whereas the Pinot Noir lacked ripeness and depth. Fred was good enough to show me some wines from tank at various stages of fermentation, and even here I could see the parsley character, superb. Click here to see more photos from Day 1 in the Finger Lakes.